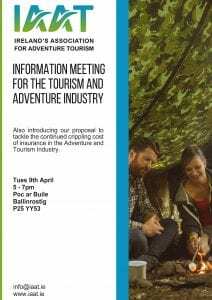 An information meeting was hosted recently by Ireland’s Association for Adventure Tourism. The aim of this was to discuss possible solutions to the crippling cost of insurance in the adventure and tourism industries. This meeting was very relevant and beneficial to many of our Ring Of Cork members.